A project to produce personalised colouring books for dementia sufferers, ‘A Colourful Life’, is launching this week – Dementia Action Week (May 21 – 27) - by Leo Burnett London creatives Hannah Cunningham and Beth Grace. 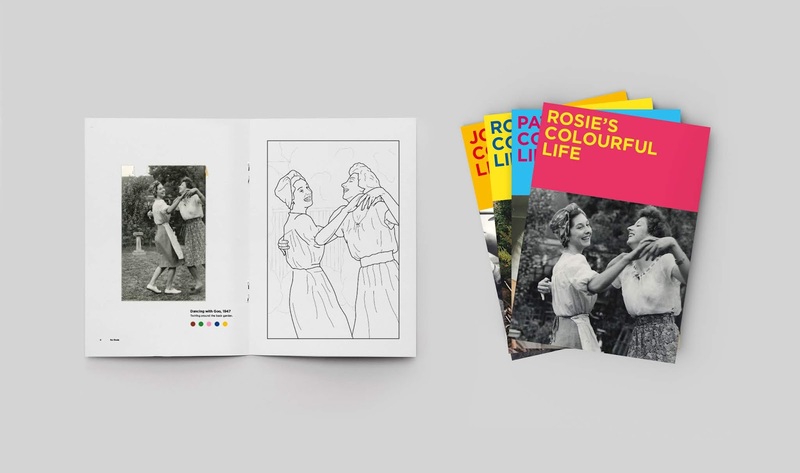 ‘A Colourful Life’ involves turning personal photo albums into personalised colouring books. Colouring is an activity known to reduce anxiety and help stoke the part of the brain that stores memory. The idea was inspired by Hannah Cunningham’s Grandma Pat, who sadly passed away from the disease in 2015 and in whose memory one copy of the first such book was created – designed and self-funded by Hannah Cunningham and Beth Grace, who has family members that have worked in dementia care for 20+ years. When the pair later joined Leo Burnett, they decided to develop their prototype in order to test the idea and see if they could generate interest and support for rolling out the idea en masse to benefit more people. With initial funding from the agency, four further dementia sufferers were found via social media. Now, Rosie, Pat, John and Ron’s life stories have also been turned into personalised colouring books, the design of which was further refined with the help of dementia research contributed by Leo Burnett London senior planner Rosin Mulroney. The books blend simple illustrations with bold, bright, contrasting colours to help people with dementia read and connect with the stories behind their images. Illustrations have a heavy outline to allow them to be coloured easily, even when dexterity is limited. Each book details special and meaningful personal moments, such as weddings, grandchildren, birthdays, pets, childhood memories and momentous life occasions. Cunningham and Grace will be giving the personalised books to Rosie, Pat, John and Ron and their respective families later this week when they are shooting the first of a series of videos in which family members talk on camera about their experience of dementia and their response to their book. The plan is to make film content available online from June as part of a push by Cunningham and Grace to secure financial backing and other support from a charity and or commercial organisation willing to help them take ‘A Colourful Life’ forward. 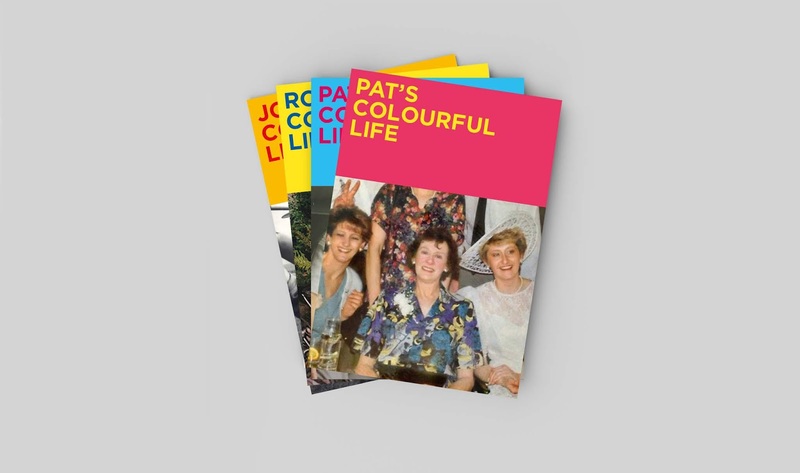 The hope is that eventually ‘A Colourful Life’ can become a mass-produced, practical tool for the hundreds of thousands of people suffering from dementia worldwide, Cunningham and Grace explain. To follow the project’s progress or register your interest in the books, please like it on Facebook www.facebook.com/acolourfullifebook or email the team at acolourfullife@leoburnett.co.uk. Dementia Action Week, organised by the Alzheimer’s Society, runs May 21 – 27.